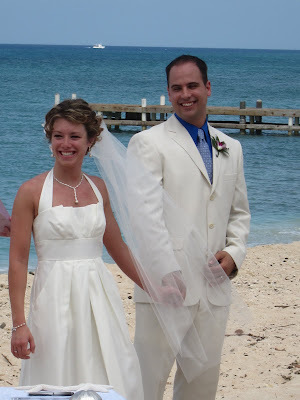 I love to hear about the wedding traditions different families have, and this Michigan couple had a most interesting story to tell. First of all, they are both from big families. 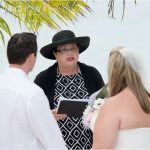 They are both religious, and they brought their own minister who officiated at their wedding. 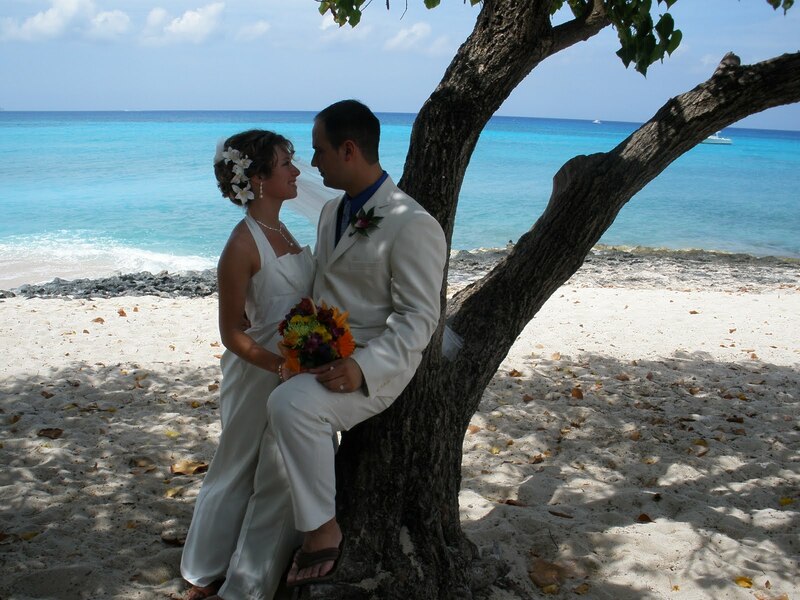 (Our Marriage Law permits this, as long as a Cayman licensed marriage officer is present and signs the documents). 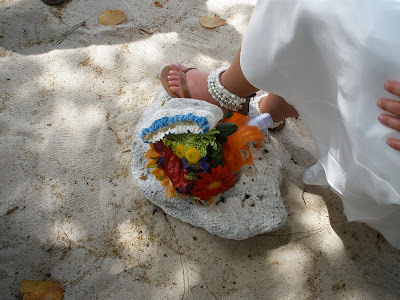 However, the story is about the bride's wedding garter. "something old, something new, something borrowed and something blue"
This bride is the third in her generation to wear the family garter, which even has its own certificate for each successive bride to sign. 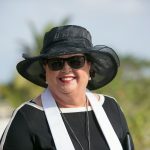 So Joanne, although you were unable to travel to Grand Cayman to witness your grand-daughter's wedding, I want you to know how much you were thought of and how much you are loved by your family. 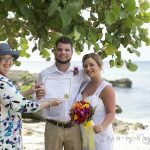 Thank you Donna and Paul for sharing this beautiful story, and we at Simply Weddings - Grand Cayman wish you all the best, enjoy your wedding-moon and your cruise, and come back and see us sometime. Nest to her grandmother's garter, this bride wears a hand-made garter she made herself, perhaps she is starting her own tradition. 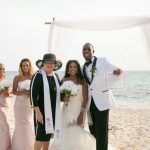 Whether you want a traditional wedding, or something more avant garde call Joy or Peggy +1 (345) 9499933, we are a member of the Association for Wedding Professionals International (AfWPI) and work to their code of ethics. Make Simply Weddings - Grand Cayman your choice for your cruise wedding in Grand Cayman.